Analyze client requirements to develop customized solutions that optimize function of CMS Cascade and facilitate website maintenance. Cascade 101: This template is used for documentation and training for Emory employees who use the Cascade CMS by Hannon Hill. 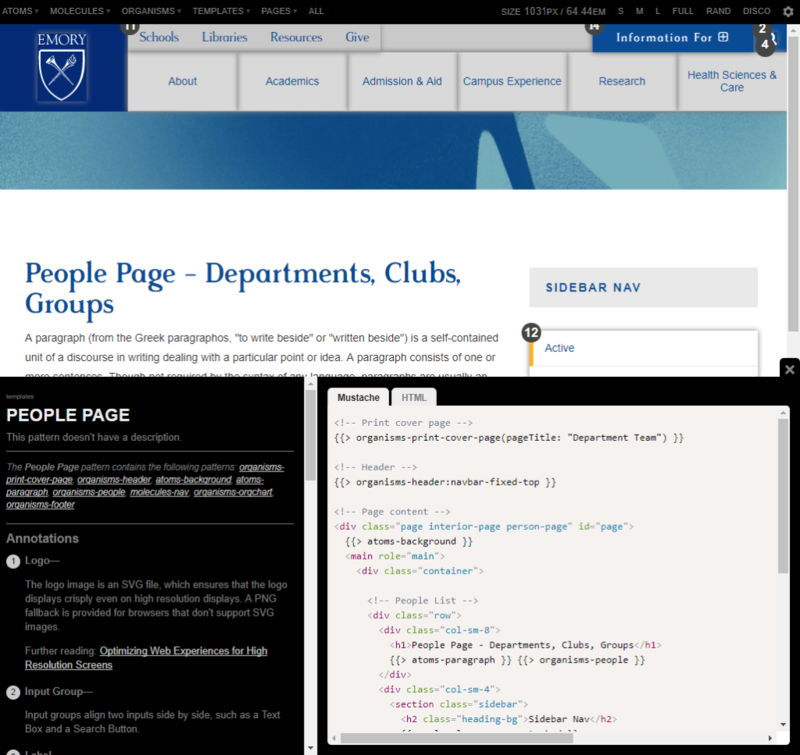 Emory University Pattern Library: This repository was developed to provide the Emory Web Team a reference for HTML and CSS markup when developing new Emory websites and templates. Click to navigate to the live Emory University Pattern Library. 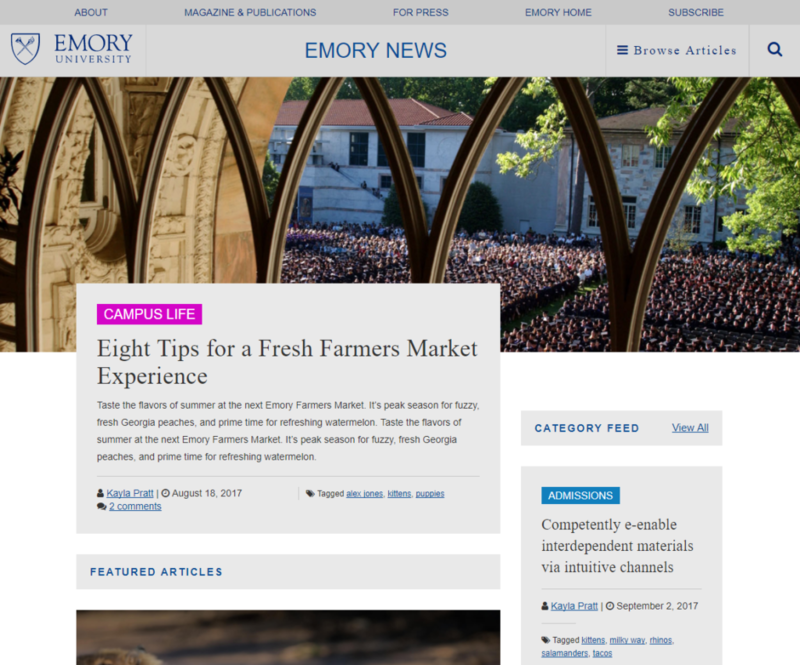 Emory News Center: This website is being developed in WordPress with along with a completely custom-built theme utilizing the markup and branding in the Emory Pattern Library. Click to navigate to the live Emory News Center Development website.